Last mile logistics refers to the final step of the delivery process from a distribution center or facility to the end user. Although the name implies, it is the final mile delivery, actual last mile delivery can range from a few blocks to 50 or 100 miles. Most often, last mile logistics involves the use of courier or small package carriers to deliver products to consumers. 22 Jul What is the Last-Mile Logistics & Why Ecommerce retailers are looking at this logistics function? Recently, there was a news headline in one of the business dailies in UAE under “Logistics headline” about one of the region’s leading e-commerce platform to initiate grocery deliveries to its customers. This news headline got my attention and prompted me to deep dive more about “last mile logistics” and why it has suddenly become the “blue-eyed” function for major e-commerce players in the region. 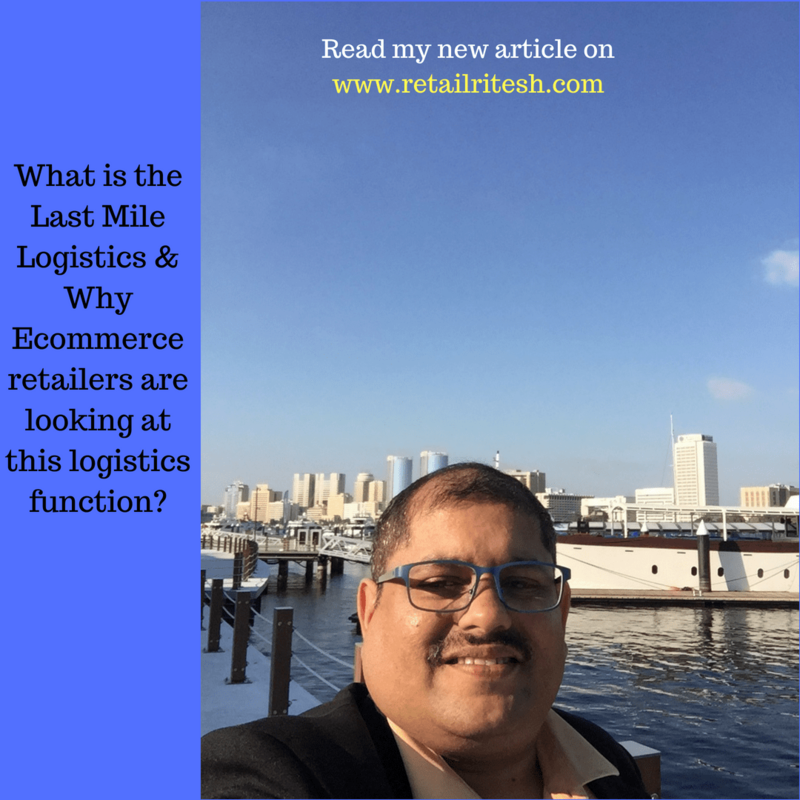 I am sure my article and its insights would help my readers and blog followers in understanding the importance of logistics function and how Omni-channel retailers are using it to their advantage. 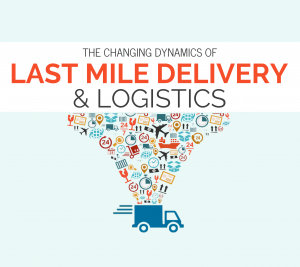 What is “last mile logistics”? Last mile logistics refers to the final step of the delivery process from a distribution center or facility to the end user. Although the name implies, it is the final mile delivery, actual last mile delivery can range from a few blocks to 50 or 100 miles. Most often, last mile logistics involves the use of courier or small package carriers to deliver products to consumers. Why is it crucial for e-tailers or e-commerce players? It’s pertinent to understand the logistics process in any e-commerce company. First-mile delivery: This involves picking up goods from the sellers and transporting it to the e-commerce retailer’s fulfillment center or directly to the mother warehouse. Fulfillment: Post first mile logistics, the next phase that follows is fulfillment, which involves picking and packaging of products once an order is placed on the website and then moving it to the mother warehouse. Sorting: After fulfillment, the products are sorted on the basis of the final delivery location. Line-haul: This stage involves connecting the main supply center with the main demand center, via land or air. Last-mile delivery: This is the last however the most important phase of the logistics cycle involving the dispatch and shipping of products from the mother hubs and to the delivery hubs, from where they are delivered to the end-customers. The reason why “Last-mile delivery” becomes critical is due to the fact that majority of customer complaints in any e-commerce company are pertaining “Late deliveries” which are mainly due to lack of processes in workforce management, no real time coordination between fulfillment teams and last mile delivery teams. Customer returns and the ability of a retailer to quickly process the returns to enrich customer experience is another major challenge faced by e-commerce retailers. Companies such as Amazon have already jumped into the fray with its Amazon Prime Air service that it hopes will soon use small drones to deliver packages in 30 minutes or less. Drones, droids, and parcel copters are here to stay. Companies like Uber eats, Deliveroo has mastered the model of Airbnb but for transportation/logistics. Technology has allowed these companies to leverage their advantage and offer jobs to anyone with a car or bike. They are able to analyze data and figure out how to do the job for less. They can fill capacity in vehicles that weren’t previously open to them. I feel the future for Last mile logistics providers is very promising provided they adapt to technology advancements at the earliest & ride the disruption wave. Case study: Carrefour Valet trolley (home delivery services) available in Dubai. Hypermarket giants like Carrefour have been fast enough to realize the importance & advantages of last-mile logistics for enhancing their customer experience and also leading to customer retention strategy. Today in Dubai, Carrefour offers Valet trolley facility to its customers. Leave your trolley at their store and have your items delivered to your doorstep at your convenience. Convenient shopping experience without going through hassles of pulling overloaded trolleys to parking lots etc. My article would definitely help budding entrepreneurs and start-ups who are either venturing into e-commerce or are already an established player. I would be more than glad to share my knowledge and wisdom on “Last mile logistics” with budding entrepreneurs in case they need any of my assistance to build up their e-commerce model. My connections can reach me on riteshmohan@yahoo.com if they wish to know more about this exciting tool.